At S3S we believe that one solution for everyone's needs does not exist. 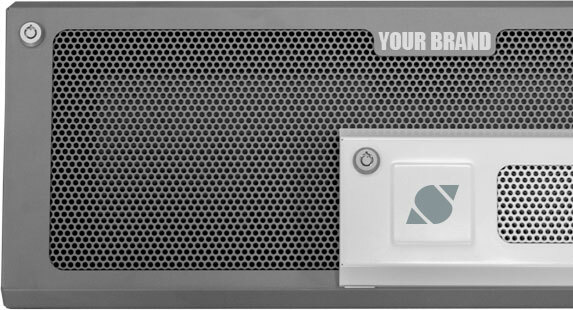 We bring server and storage solutions that are custom-built and/or custom branded. This means that the configuration of all the technical components, but also the look and feel are covered by us. Your logo on the casing? Done. Customized colors to match your business look? Got it! You can compare us to an OEM: your end customers will receive a product that carries your branding and/or colors. We also take care fo the entire production and installation of the OS and the system support. This means your end customer sees a complete out-of-the-box product as if it was designed and built by you. The entire configuration lies in your hands. S3S's engineers passionately craft these devices build for your needs. Eye for detail and quality is very important to us. Your configuration is our priority and we are always ready to help you find the best configuration suited for your needs. Because S3S works so closely with all of it's suppliers and partners, a huge variety of parts and chassis are available.